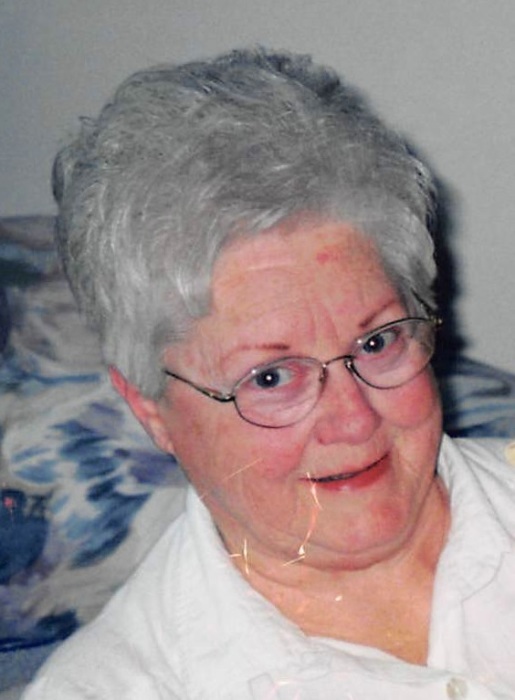 Dessie E. Leonard, 82, of Vincennes, went to be with the Lord at 6:45 am Tuesday, February 12, 2019 at Springs Valley Meadows in French Lick, Indiana. She was born November 18, 1936 in French Lick, Indiana to William Edward and Eva Pearl (Freeman) Qualkenbush. Dessie was a cook and manager for the Vincennes Community School Corporation. She attended the Bethany Presbyterian Church in Vincennes and the French Lick Higher Ground Pentecostal Church. Dessie retired from the Vincennes Community School Corporation as a manger in the food service department. Those surviving who will cherish Dessie’s memory are her children, Carl E Meehan of Terre Haute, and Debbie Schmidtknecht and her husband Greg of Vincennes; a brother, Ross Qualkenbush and his wife Maryann of French Lick; and a granddaughter, Maggie Schmidtkneck of Vincennes. Funeral services will be held at 2:00 pm Monday, February 18, 2019 at Brosmer Kemple Funeral Home in French Lick with Kern Qualkenbush officiating. Burial will follow in the Emmons Ridge Cemetery in Hillham. Friends may visit with the family from 1:00 pm until the service. In lieu of flowers, memorial contributions may be directed to the Vincennes Pet Port.